Amazing book! Has changed my thinking. An excellent book - all round. Brian Tracy is the top time management trainer in the world today - in 38 languages and 56 countries. In Time Management Made Simple he teaches you the best ideas learned worldwide in 30 years of research and teaching.In this fast-moving 12 lecture program, you will learn how to manage every aspect of your time and life - more efficiently than ever before! Plus this SPECIAL BONUS! More than $100 worth of online resources to improve your time management skills; a Time Management Skills Assessment to discover your strengths and weaknesses, and breakthrough opportunities, plus one month of free access to a personalized online learning program tailored to your specific personal and professional time management needs. 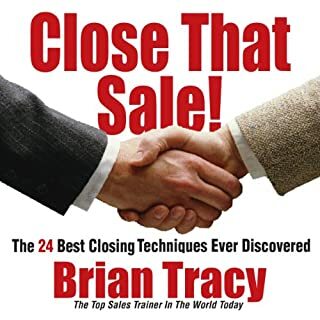 Anyone not familiar with Brian Tracy's work would do well to purchase this as a good introduction at a bargain price, especially if buying on monthly subscription. However much of this tape is repackaged old stuff - I already have most of it. Some of it seems to be from The Pschology of Acheivement series, which sadly isn't available in full on Audible. 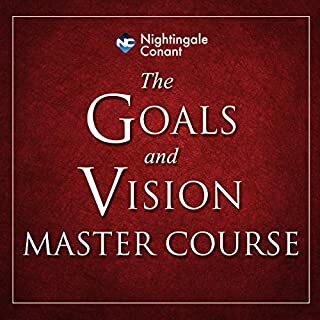 I have been listening to Brian's tapes since 2004 - they are very helpful for keeping your mind focused on things that work, and in creating and setting realistic goals. 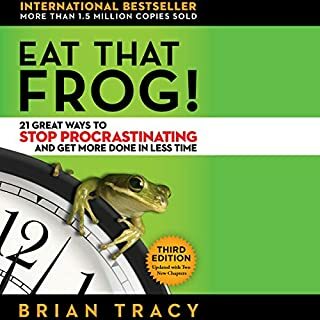 Excellent reading for anyone that needs that little help on getting motivated and better organised. You may know this stuff but I found it helped me to put them into action. 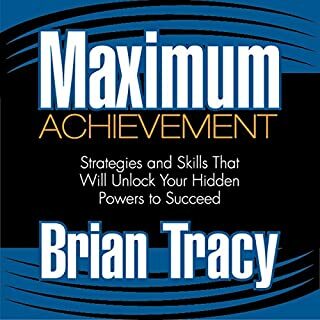 This is by far the best collection of Time Management / Life Management Audios by Brian Tracey ever. Everything in one place including a workbook so it can be used as study material also. Personal development and its best. One of the best books I've read/listened to. Absolutely. This book gives you the keys to awaken your full potential and take control of your life. The methods Tracey gives are easily applicable and give results almost instantly, giving you tremendous satisfaction. This book can change your life. There's no story but I enjoyed the chapter structure and how everything was methodically presented, yet still in a light manner. The chapter I enjoyed the most was Chapter 2, which was on self discipline. This chapter probably contains some of the more powerful methods Tracey presents. I felt in awe sometimes at the sheer common-sense that was in the book; the lessons should be so obvious but we so easily let our time fly by without thinking long term. There were also some mildly humorous parts. Tracey's narration grew on me as the book went on; at first I wasn't fond of it but I soon found it very appropriate for the topics discussed. I don't mean that because it's his book, but that he speaks intelligently yet with a lightness to his voice. I am in the early stages of starting up a new business. I plan to do this firstly in conjunction with my full time job so I really needed something to help manage my time better. Procrastination has always been a weakness of mine but this book has really inspired and motivated me and is already saving me lots of time and helping me to achieve more on a daily basis. There is a lot of repetition in the book but it's well known that in order for an idea to stick it must be repeated at least three times. 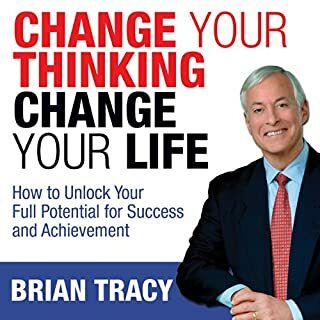 Brian Tracy achieves this well without making the book boring. I enjoyed this book so much that I have purchased another two from Brian Tracy's Made Simple series. So if your looking to start a business or simply want to achieve more in your work and personal life, I couldn't recommend this more. What about Brian Tracy’s performance did you like? Brian Tracy narrates so naturally. He loves what he does and it comes across in bucket loads. Very easy to listen to. 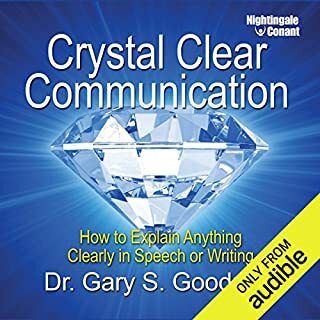 The content of this collection offers a wide selection of useful techniques and approaches which I personally have found very useful. The content is somewhat repetitive and slightly disjointed in places (a result of being a collection of works) which I found slightly distracting during listening. A life changing book if you make an effort to implement some changes to your life. Great to listen to, which I did on my daily commute to the station. Highly recommended. 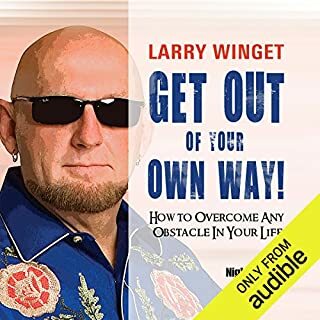 First off, when you buy this audiobook, be aware that theres a lot of "you can do it" and "you can be the master of your destiny" repeated in this book. If you can shut out the slightly condescending nature of the above, its really quite useful, plenty of decent ideas and processes that are easily applied with a little thought. 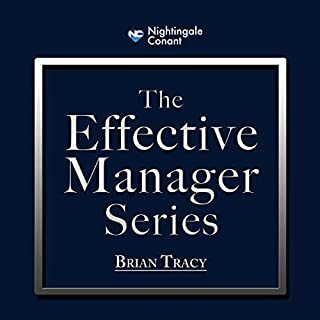 I like to listen to my books whilst driving as it passes the time.This was excellent for passing on tips and tricks for being more effective with my time management. 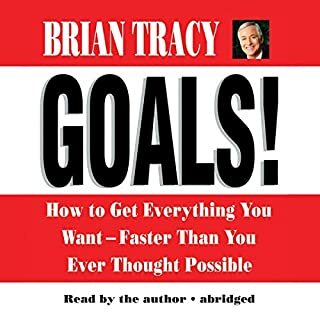 Brian Tracy rarely disappoints and this is no exception! It's not a recent book, but there are still some great lessons to learn. Really useful. Some repetition but I found that useful to. Some really good ideas in the book that were immediately useful. It's not rocket science but then the most practical stuff rarely is. It is a collection of papers so there is some repetition but I actually found that helpful in drilling in key ideas. Only downside is that it seems like every tip or recommendation is alleged to be "the most important thing that makes people successful." After a while these statements loose their impact and even become a bit annoying. Overall though would definitely recommend. I don't enjoy this as much as Tracy's other works because it was very obviously cut-and-paste from aforesaid other works. It's like he took a few podcast series and spliced them together, without bothering to order them into an overarching narrative. It's always a challenge to keep the big picture in mind when listening to an audiobook, but when there isn't a coherent structure, it's harder to retain anything. Although I've listened to this book several times, I couldn't tell you one distinctive thing I remember about it that wasn't in his other books. The lack of structure makes the resulting read not very actionable. Repetitive, self-serving and lacking references. What disappointed you about Time Management Made Simple? I saw it was over 10 hours long and thought it would be very complete. It was not. It is very repetitive. About one hour before the end, Brian even says : "don't worry about the material being repetitive, it's good to hear good ideas several times". When I want to listen to good ideas several times, I expect to listen to the audiobook again, not hear it time and time and again in the same program. I suspect the real reason is that this is a loosely related collection that was put together to inflate the playing time. For those familiar with Myer-Briggs Type Indicator, he is a super judger, and in his mind that is the way to be. Make all decisions now, throw away everything, when in doubt throw it out, and so on. Besides, Brian is very self-serving. It sounds like he's making a shameless commercial time and time again. For instance, something that goes on for several minutes is summarized as: "An audio program is equivalent to reading 35 books. You should always listen to audio programs in your car. I produce many audioprograms. With no exception, everyone who listens to my programs does a LO better one year later". Lastly, he makes all these claims: "scientists have discovered so and so". Which scientists, where was it published, where can I check it out? 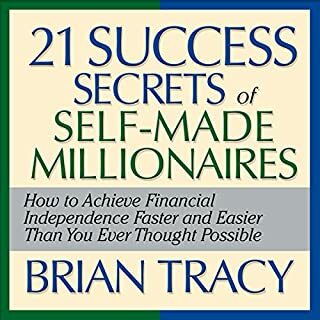 What could Brian Tracy have done to make this a more enjoyable book for you? He could have summarized his points, be less self-promoting, offer names for his stories, be less patronizing. There are several better books, succinct and to the point. "Getting it done" is a very good one. "First things first", although not my favorite, is by far better than this one. 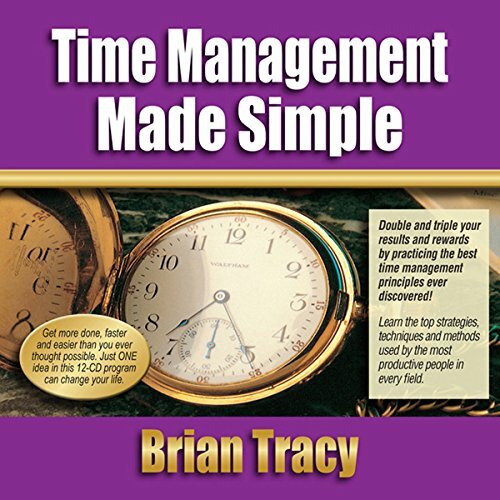 What did you like best about Time Management Made Simple? What did you like least? I like Brian Tracy. He has solid advice and you know what you're getting when you purchase something he's done. This book followed that formula. Unfortunately, it felt a bit too much like it was thrown together with bits and pieces from other books. 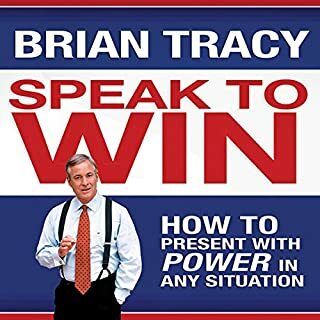 If you're read/listened to something else by Brian Tracy, you've probably heard everything here, possible the exact same recordings of it. What was most disappointing about Brian Tracy’s story? Verbatim repeats of other material. Felt like it was more a compilation of other work than a new title. If there would have been new information. Has Time Management Made Simple turned you off from other books in this genre? Would you be willing to try another one of Brian Tracy’s performances? The book repeats itself a lot. The same things come over and over again making it repeat itself. I think the reason is that Brian Tracy has re-used parts of other books to make a new one. And I don't mean ideas, he has used either the same or very similar audio track that he used in other books (The sentences are the same and even the laughs sound very same). 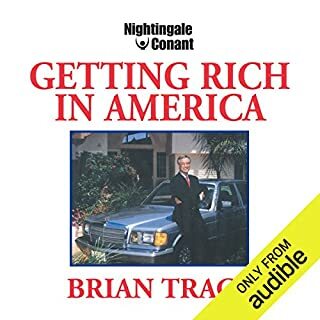 I have listened a few Brian Tracy books since I'm kind of a fan but this felt like rip off. Would you consider the audio edition of Time Management Made Simple to be better than the print version? I have not read the print version; however, the audio version allowed me to listen to it while I was at work and in my car. 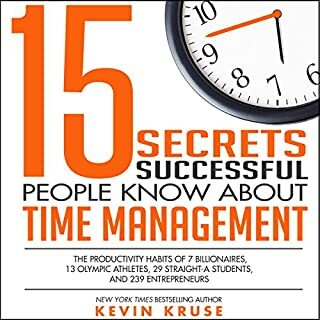 What other book might you compare Time Management Made Simple to and why? This is my first book on Time Management. This book is a great motivational book and it will help one become better at time management. I bought this book in an attempt to get a handle on the multiple task that I deal with at work. However, this book changed my business and personal life. I have learnt ideas that have motivated me in my personal life and helped organize my daily work. The best time management book ever ! 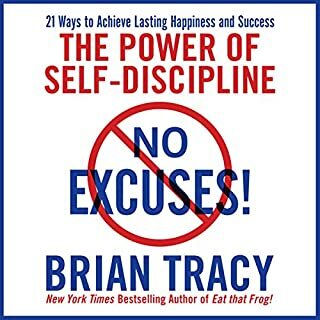 Loved this book, Brian Tracy is a genius. Great ideas, great answers for a lot of time management problems. He goes beyond just time management, he offers ideas on how to be the best professional among other things. I recommend this book to anyone who is trying to get a hold of their life. someone who is looking to make big changes. I can't wait to try this stuff out! Brian Tracy is one of my favorites! What made the experience of listening to Time Management Made Simple the most enjoyable? 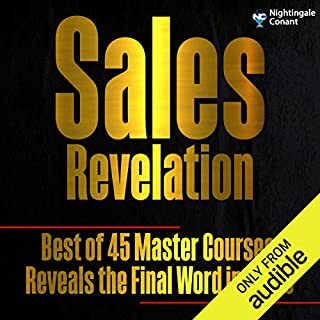 Brian Tracy voice, he is one of my few favorite narrators - I often buy books based on the narrator and definitely reject books if I don't like the narrator. This book is wonderfully written and organized, clear and just totally makes sense, and one of my all time favorite business books. I've implemented what I have learnt in this wook and it has indeed changed my life - in the way I approach my days. The book 'Getting things done' by David Allen - that is one of my all time favorites too. The narrator is also great and it's kind of about the same type of things. Yes but I never do listen to any books all the way through. Why I love business / non fiction type books is the fact that I can click in at anytime and learn something. There are gems in every paragraph. 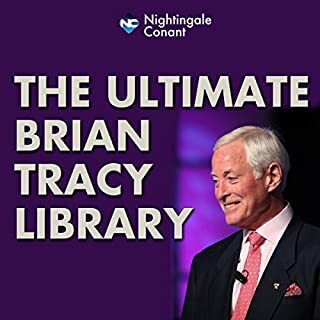 Although someone who has been exposed to a lot of Brian Tracy's material would likely find this repetitious, I had never heard of Brian Tracy before listening to this collection of audios, so for me all of this information was new, or was expressed in a fresh, new way. And as Mr. Tracy promises, I am getting much more done in much less time. My family is surprised and encouraged by the results. 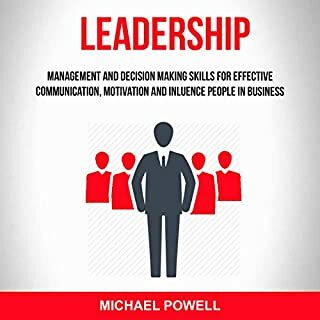 My husband also, who has read a lot of John Maxwell and other leadership/time management material, found this audio book very helpful, and requested that I gift him his own copy so that he could listen to it repeatedly. He is an elementary school administrator, and it is already helping him to use his time more effectively than he already was. 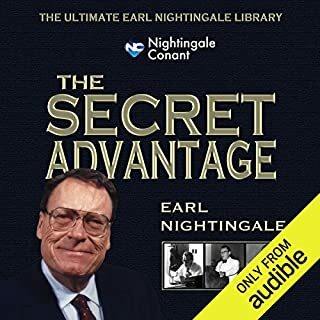 Overall this is the best book I have ever listened to or read for motivating and enabling me to use my time effectively. It has literally revolutionized my life! Would you be willing to try another book from Brian Tracy? Why or why not? Who do you think would benefit most from listening to Time Management Made Simple?